The common issue that’s rarely spoken about. At first I wasn’t going to post this because I wasn’t quite sure how to tie it all together. So recently I realised I know quite a few ridiculously talented individuals who tend to undervalue their skill in relation to others.. e.g. they view their skill as ‘common sense’. This causes people to dramatically undervalue what they are bringing to the table. I’ve coined the term “Expert Goggles”. This is looking at things from your industries perspective rather than your customers perspective (the average joe). 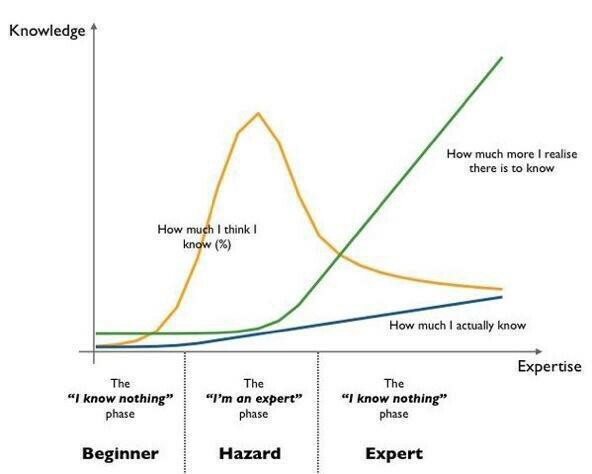 The thing everyone forgets is that being an “expert” is all relative. A person who uses social media every day may not be an expert when compared to someone who works in the social media industry. However it can be argued that the same person could be considered an expert when compared to someone who is computer illiterate. The thing to note here is that you only have to be marginally better than someone else to offer them a service they will be happy to pay for. Expert Goggles occur when people overlook this fact and always try to impress people who are at a similar or higher level to themselves. This leads to someone not having confidence in the service they’re offering. As you get better and better in your particular field. You learn more about what you don’t know. This causes you to see the gaps in your work and where it can be improved. This leads to you doubting your work. However what most people don’t realise is that these ‘flaws’ are invisible to the average person. Do you feel uneasy charging for your talent? Share the post "Take your expert goggles off"